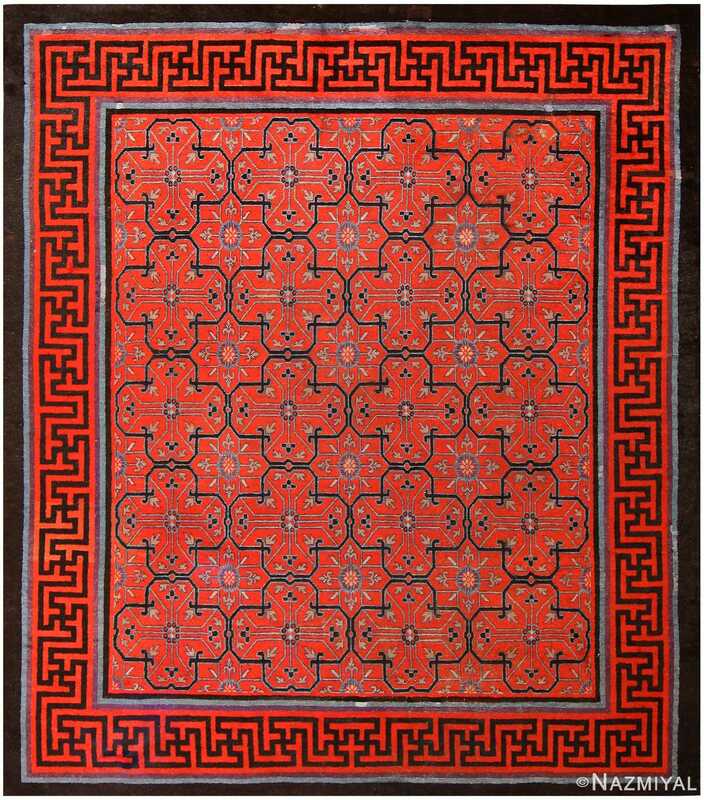 Beautiful and Quite Decorative Antique Chinese Design Rug, Country of Origin: India, Circa Date: Early 20th Century - This majestic and absolutely grand antique Oriental rug -- a fabulous Chinese style piece originally hand made by master rug makers in India some time during the early years of the twentieth century -- is a beautiful work of art to behold that speaks volumes to the artistic ability and rich cultural heritage of the artisans responsible for its creation. 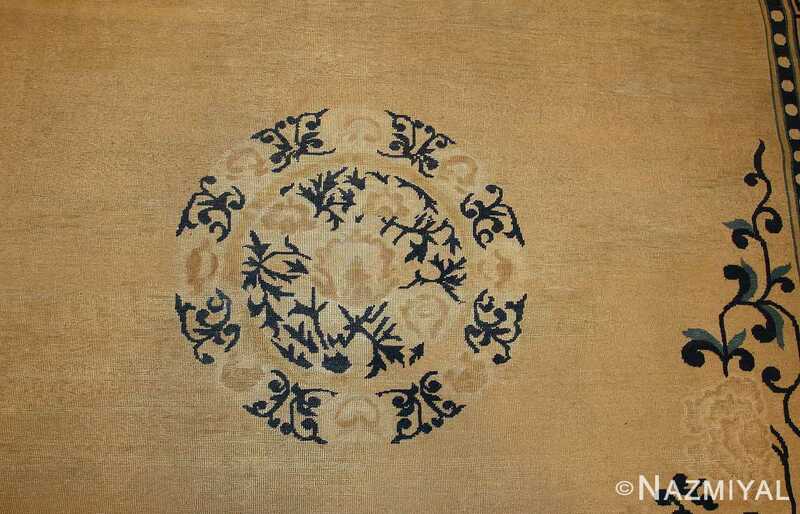 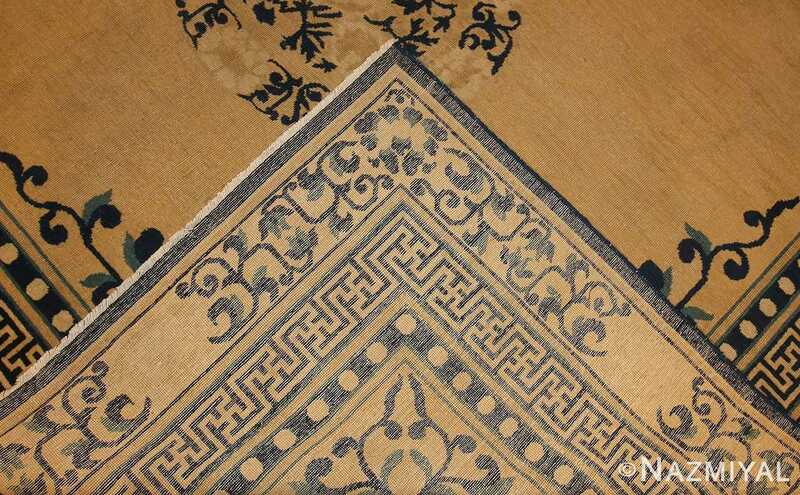 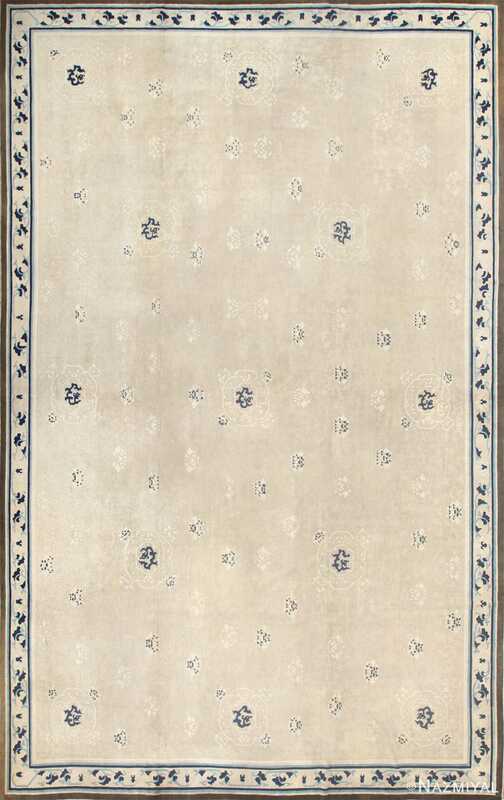 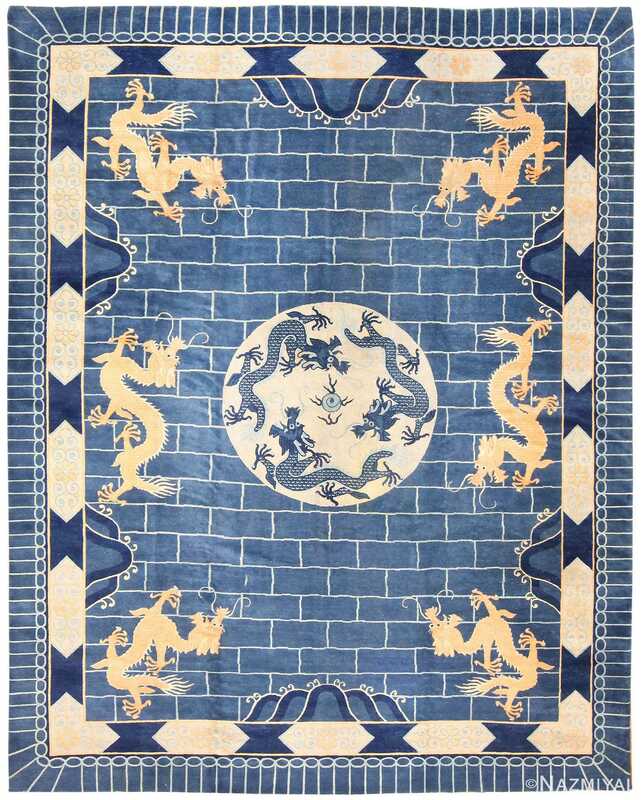 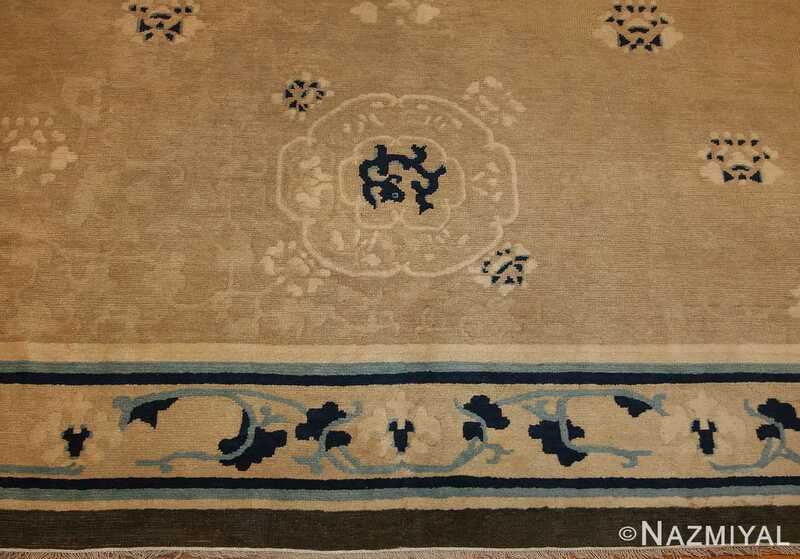 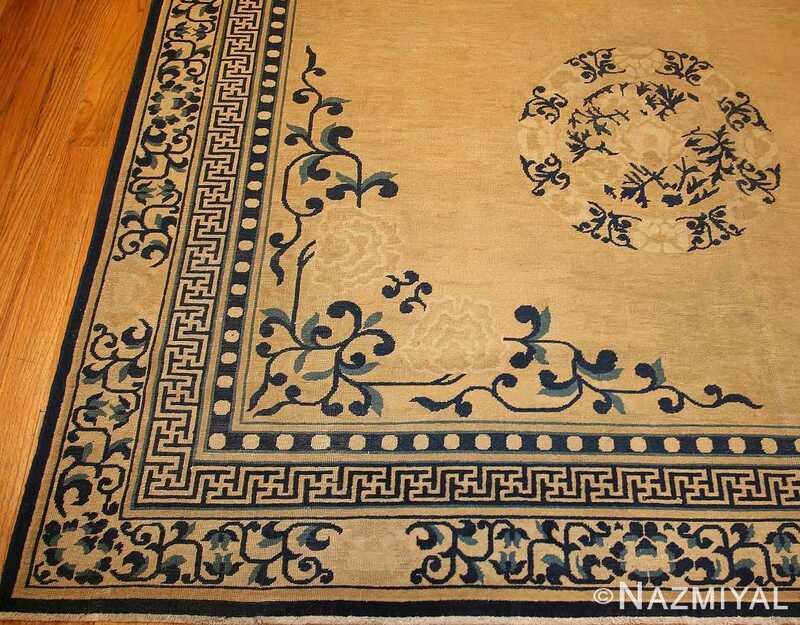 Delicate, transparent medallions and corner-pieces in mid blue float elegantly on the open tan field of this lovely antique Chinese rug. The understated borders, one in fretwork and the other with vines, provide a finely worked frame that picks up the transparent graphics and openness of the field. 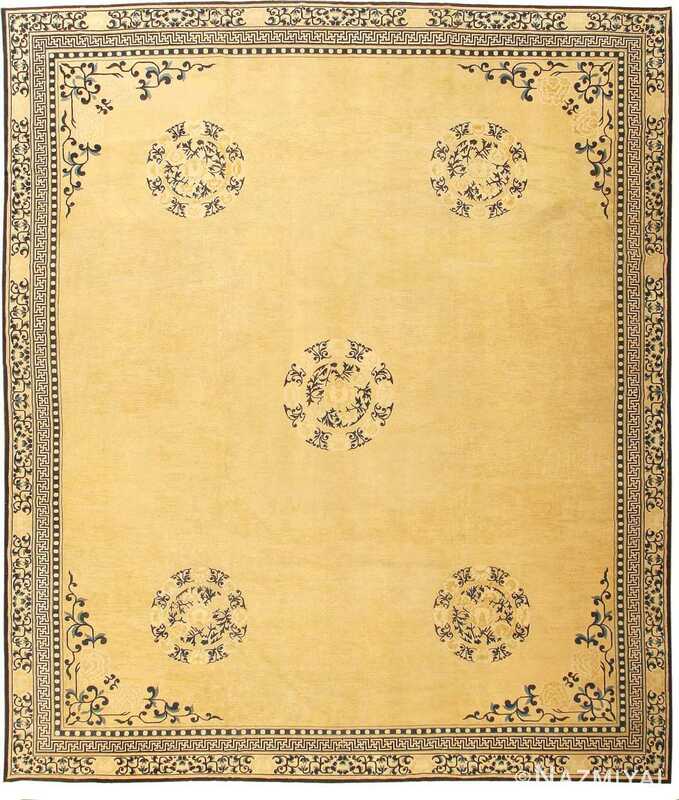 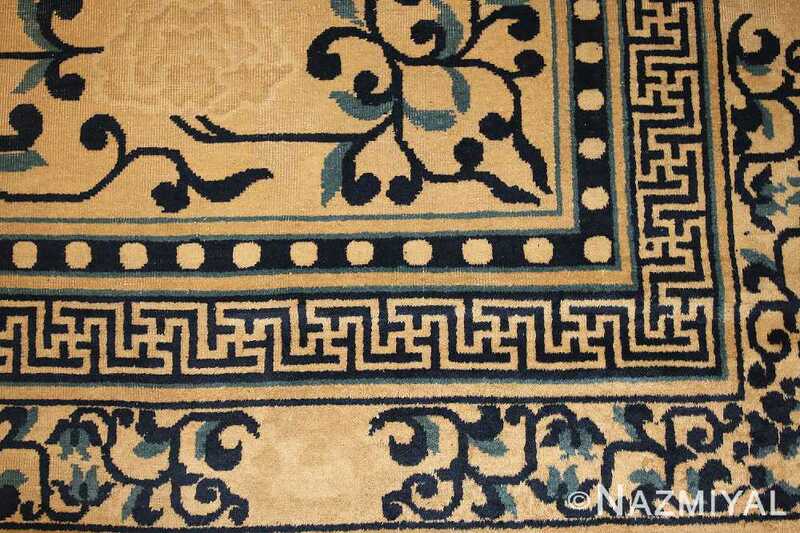 All in all, this is a wonderful piece that would bring an unparalleled level of culture, elegance and sophistication to any home that it might grace.